Apex Luxury Limousine and Sedan Transportation is proud to announce all of our limo services are now available in Burlingame! Just south of San Francisco, Burlingame is a quintessential Northern California town. 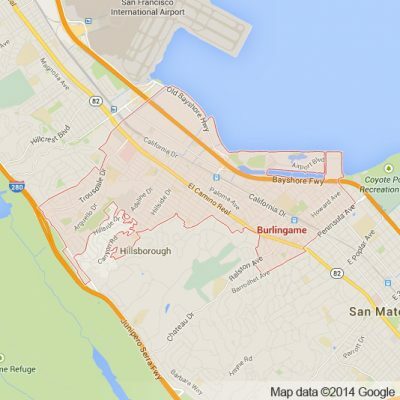 With such close proximity to San Francisco, Burlingame is the Bay Area’s gateway to beautiful San Francisco. This desirable real estate is home to a central commercial district on Burlingame Ave and Broadway Avenue that is perfect for shopping or dining on any occasion. As the gateway to San Francisco and the rest of the Peninsula, Burlingame is a perfect starting place for any Bay Area adventure. We are proud to offer full luxury limousine and sedan transportation services to those residing in Burlingame interested in exploring San Francisco, Oakland and the Peninsula. We also offer the Bay Area’s best Napa Valley Wine tours. These limousine tours are incredible explorations of Northern California’s finest wineries. Apex proudly brings Burlingame residents and visitors to Napa in luxury and style. We also offer limousine and sedan services for weddings, prom and SFO/OAK/SJC airport transportation needs. Residents of Burlingame will be pleased to see that all of their luxury limousine and sedan transportation desires inside and outside of Burlingame can be met by Apex Luxury Limousine and Sedan Transportation. Our professionalism and commitment ensures timeliness on every single ride. Our vehicles are the most luxurious fleet of sedans, SUVs and limousines in Northern California. By picking Apex for your next wedding, prom, Napa Valley Wine Tour or airport pick up you are making a decision you will not regret – we promise. Please call us for car service all inclusive total for Burlingame to/from Napa Valley transfer.